I must confess that when Jumbie asked me to contribute towards the cultural influences on out national dishes I had no clue except for some very small facts. So I am asking for contributions as we try to get to the bottom of the pot! Re: Development of a national taste. How we got our food. ****The Arawak were first and foremost those who historically used the green and fire resistant flexible limbs of the hanging branches of the giant Bearded Fig Tree (Los Barbadoes) to cook meats and fish over an open fire while first marinating their foods in tropical herbs and spices found naturally throughout the southern islands to South America. Unlike latter variations, the original and most authentic "Barbacoa" used herbs and spices, such as island prepared "cassareep" (derived from the root of the cassava plant), not only to enhance the natural flavors of meats, fish and vegetables, but preserve their cooked foods from spoiling in the heat of the tropics. The Arawak Indians called their preparations "Barbacoa," accordingly, as these methods proved to be a boon of protection for keeping their foods from prematurely spoiling. **** The term buccaneer derives from the Caribbean Arawak word buccan, a wooden frame for smoking meat, preferably manatee. From this became derived in French the word boucane and hence the name boucanier for French hunters who used such frames to smoke meat from feral cattle and pigs on Hispaniola (now Haiti and the Dominican Republic). English colonists anglicised the word boucanier to buccaneer. Hence we have in T&T from the French influence to boucanier or sometimes buccaneer meat. Most etymologists believe that barbecue derives from the word barabicu found in the language of the Taíno people of the Caribbean and the Timucua of Florida, and entered European languages in the form barbacoa. The word translates as "sacred fire pit." The word describes a grill for cooking meat, consisting of a wooden platform resting on sticks. Traditional barbacoa involves digging a hole in the ground and placing some meat (usually a whole goat) with a pot underneath it, so that the juices can make a hearty broth. It is then covered with maguey leaves and coal and set alight. The cooking process takes a few hours. It has been suggested that both the word and cooking technique migrated out of the Caribbean and into other languages and cultures, with the word (barbacoa) moving from Caribbean dialects into Spanish, then Portuguese, French, and English. The Oxford English Dictionary cites the first recorded use of the word in the English language in 1697 by the British buccaneer William Dampier. However, it appears 25 years earlier in the published writings of John Lederer in the proper form, barbecue, following his travels in the American southeast in 1672. * "Barbecue – a hog dressed whole"
Christopher Columbus writes in his diary, "far from there, there are one-eyed men, and others, with the snouts of dogs, who ate men, and that as soon as one is captured they cut his throat and drink his blood." Sounds a bit like one of Walter Raleigh's fantastic tales. When Columbus arrived in 1493, he introduced sugarcane to the natives. It was later discovered that rum could be made from fermented cane juice, a drink that remains the ultimate in tropical Caribbean refreshment. Spaniards introduced other foods, notably coconut, chick-peas, cilantro, eggplant, onions, and garlic. European colonists, including the Portuguese, Dutch, Danish, British, French, and the Swedes, came later to the islands with their culinary trademarks. Some of the foods introduced by these travelers were oranges, limes, mangoes, rice, and coffee. During the African slave trade that began in the early 1600's, foods from West Africa came to the Caribbean Islands, including okra, pigeon peas, plantains, callaloo, taro, and breadfruit. Following the abolishment of the slave trade in 1838, laborers from India and China came to work in the fields and plantations, adding two very different culinary influxes to the already long list. Because the islands are multicultural, there are distinct influences on our national cuisine. The French (? ), (still looking for French influence apart from bouanier or bar be que)Spanish, Indian, African, and Chinese all contributing to our present tastes. Certainly geography has played a major part in culinary influences, as well. South America introduced its native potatoes and passion fruit to Caribbean cuisine. And Mexico's donations include papaya, avocado, and cocoa. Even the Brits with their pies, tarts, biscuits and tea have had their influence. The Caribs had great respect for the sea. They made sure when they were travelling by sea, they did not eat any crab or lizard or drank any water in fear of offended the ocean spirits. If they were carrying fresh water on their canoes they made sure that the water would not spill in the sea because they thought a storm would brew up, also for this same reason they never ate crab before a sea voyage. If they were passing over places where fellow Carib men had drowned, they threw food in the water in hope that the drown men's spirits would not capsize their boat. When they approached land they precaution themselves from pointing to it or talking about it unless any evil spirit heard and prevented them from landing there. The Caribs main source of food came from the sea. The Caribs did not eat pig, salt or turtle since they thought it made them stupid. They neither ate much fat. The Caribs were thought to be also cannibalistic. Human flesh was eaten boiled or barbecued. The Caribs did not eat mammee apple since it was considered as a food for the dead. Sometimes soup was made out of agouti bones and ground provisions which were seasoned with pepper sauce, oysters and cassava flour. Fish was often grilled on wooden stakes and served with a sauce called couii. This was often eaten with yams or sweet potatoes. The dish that was the favourite with the Caribs was a stew made out of crab and cassava with a taumalin sauce. Taumalin sauce consisted of lemon juice, pepper, and the green meat in the shell of the crab. Their favourite alcoholic beverage was ouicou. 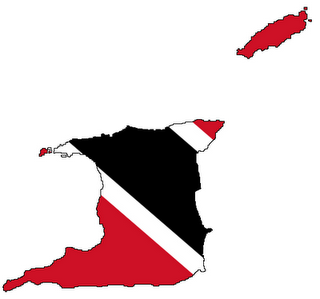 The first inhabitants of Trinidad and Tobago were the The Arawak,and the Carib. Their daily diet consisted of vegetables and fruits such as papaw, yams, guavas, and cassava. The Arawak created a way of cooking whereby a grate of thin green wood strips was made and this grate they slowly cooked meat, allowing it to be enhanced by the flavor of the wood. This grate was called a barbacoa, and the word we know today as barbeque is taken from this early Arawak cooking method. The Carib really spiced up their meals with with hot pepper sauces, and also they used lemon and lime juice to their meat and fish recipes. They are thought to have made the first pepper pot stew. No consistent recipes exist since every time the Indians made the dish, they would always add new ingredients. The Carib had a big impact on early Caribbean history, and the Caribbean sea was named after this tribe. Then the entrance of slavery added a new dimension to our culinary history. Once the Europeans brought Africans slaves into the region, the slaves diet consisted mostly of food the slave owners did not want to eat. Necessity is the mother of invention and the newly arrived Africans blended their traditional African foods with staples found on the islands. The Africans introduced okra, callaloo, fish cakes, saltfish, ackee, pudding and souse, mangos etc. to their new diets. With the abolition of slavery, Indians and Chinese were brought to T&T to replace the newly emancipated slaves, and new foods and cooking styles were introduced. Much of the Indian cooking culture remains alive and well in Trinidad and Tobago. Curry, roti, barra and channa. The Chinese introduced rice, which is always a staple in home cooked Trinbago meals. The Chinese brought us mustard, and the early Portuguese sailors introduced the popular saltfish!. Many of the fruit trees we have in T&T came with the early Spanish explorers. The fruit trees and fruits brought from Spain include orange, lime, ginger, plantains, figs, date palms, sugar cane, grapes, tamarinds and coconuts. America is responsible for introducing beans, corn, squash, potatoes, tomatoes, and the hot pepper to the Caribbean and by extension T&T. In fact these particular foods had never been seen in Asia, Europe or Africa, so America actually introduced these foods the rest of the world via the Caribbean. The origins of this food began in Trinidad by the Deen family, Emamool Deen (a.k.a. Mamudeen) and his wife Rasulan in 1936 in Fairfield Princes Town. The name 'doubles' originated in 1937. When Mamudeen started the business the products he sold were Fried Channa wrapped in cone-shaped packs. He diversified his product line soon after by adding Curried Channa with chutney. He then introduced a single Bara with the curried channa. His customers would ask him to "double-up" on the Bara hence the name "doubles" evolved and Deen's Doubles became the pioneering brand. As the demand for Deen's Doubles increased, Mamudeen employed his two brothers-in-law, Asgar Ali and Choate Ali to sell Deen's Doubles in 1937. The Ali brothers launched their own Ali's doubles brand in 1938. Asgar Ali chose San Fernando for his sales district and Naparima College in particular as his historical starting point.Choate Ali remained in Princes Town while Mamudeen expanded to San Juan and Port of Spain. One of Mamudeen's sons, Shamaloo Deen, later sold Deen's Doubles in his restaurant "Deen's Diner" on Marion Street, St. Boniface, Winnipeg, Manitoba on the Canadian Prairies where most of the channa consumed in Trinidad is grown. On June 25, 2001, Shamaloo sold the Marion Street restaurant and the 'Deens Diner' name to Kenneth Mungal, a fellow Trinidadian, who continues to serve Doubles. Some culinary historians plausibly assume that Doubles evolved from the Indian dish Chole Bhature (also called Chana Bhatura), which is a combination of Chole (Chana masala), spicy chick peas and the Bhature (Poori), a fried puffy bread made of maida flour which is used in the making of Indian pastries, bread and biscuits. Chole Bhature is a dish served with onions and achar and commonly eaten in northern India. It is served with one large Bhature which is eaten like chapati to scoop up the Chole and not presented as a sandwich like Doubles. The taste difference between Chole Bhature and Doubles is distinctive as the bara is made from all-purpose flour and spices and Trinidadian curries and chutneys have evolved with their own unique taste characteristics. Vendors sell doubles out of a box. Mamudeen, the pioneer of doubles was the first to build a wooden box, painted yellow, to fit his freight bicycle from which he sold Deen's doubles. When automobiles replaced the freight bicycles the box remained to preserve the original sales image for doubles. A few vendors fry their Baras in makeshift kitchens in the back of pickup trucks; the channa however, continues to be produced in their home-based kitchens.Doubles frequently sell in Trinidad. 1932—Emamoul Deen, nickname “Hatty Hat,” works on an estate bathing cattle for 24 cents a day. He is a resident of Fairfield, Princess Town, and a father of twin boys, Cabil and Habil, and Hollis. 1933—He enters the food industry by frying channa, packaging it into small funnel-shaped wrapped packets for sale at Cinemas. The price then was one cent or a penny (two cents). Realising that the channa business was more lucrative he left his job bathing cattle. 1934—He then decided to experiment and came up with seasoned boiled channa. He was now selling wet or dry channa. The first official pot of curried channa was turned by his wife Raheman (Rasulan) Deen. 1936—His two sisters married two Ali brothers—who are also into the doubles business. The Alis, claims Shamaloo, were students of his father. 1955—The business carried on for years until familial conflict led to him moving to San Juan, where seven stands were established. Deen’s Doubles soon became a household name. By this time all nine children, particularly the four older sons, including Shamaloo, were all involved in the business. 1956—The business was then passed on to Jamaloo, the oldest son, after the death of his twin sons a year apart. 1975—Deensway International Ltd formed by Shamaloo in Canada in order to establish Deen’s Restaurant at 205 Marion Street, Winnipeg Canada. 1978—Shamaloo migrates to Canada to run the business full time. The establishment is featured in several magazines and newspapers, including EnRoute, the in-flight magazine on one of Canada’s airlines. 1979—Emamoul Deen dies. Shamaloo returns to T&T, makes suggestions to brother about maintaining standard after complaints from local customers. Shamaloo takes over production in the kitchen for a while then returns to Canada. Years pass then oldest brother dies and the business is taken over by Shamaloo. 2001—Shamaloo establishes an NGO called Emamoul Deen’s Self-Help Society. The organisations is intended to encourage and support locals who wish to buy into the trade. 2004—The business now operates solely at Santa Cruz Old Road. It is manned by Shamaloo, his current wife and three stepsons. The red and white sign outside the family’s humble wood and concrete house in Santa Cruz boldly proclaims them pioneers in their field. Deen, though, is not just into keeping the business alive locally. In 1978 he migrated to Winnipeg, a city on Canada’s prairies, where he established Deen’s Restaurant at 205 Marion Street. 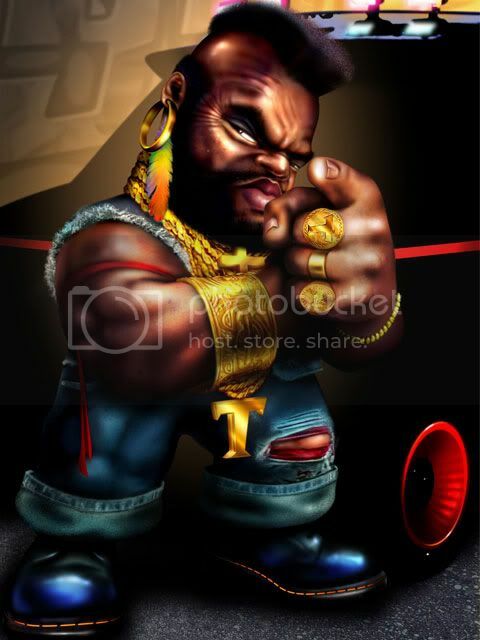 Part of his promotional gimmick when he first arrived, was convincing people that doubles was not only the most economical meal, but also it was more popular than a hamburger back in Trinidad. His pitch worked. Eventually Deen’s was chosen by the Manitoba Restaurant Association to represent the Caribbean. Like his father, Deen liked experimenting. It was there that the bite-size doubles was introduced. He recalled an article by a local newspaper, noting that the writer had likened his invention to the Canadian coin called a “loony,” which is about an inch in diameter. He did not allow the criticism to deter him and went on promoting his father’s legacy, as well as the land of his birth. Deen remembers his father as being one of the first persons to have recognised doubles-making as a viable trade for people who wanted to be self-sufficient but did not have much education. His mother, too, believed in being independent, so much so that she refused to accept a Government pension. “She said she had been self-sufficient all her life and didn’t think she deserved any entitlements from the State,” he recalled with pride. Deen’s return has also seen the introduction of an average-size chicken roti for $5, served from 6 am. Customers are greeted with a big smile and Deen’s competent services behind the traditional doubles box. The glass case to the right of the counter contains bags and napkins. “We want to keep it as traditional as possible. My father sold from a box similar to this on his trusted bicycle for years before he set up his first stall,” he remembered. Way past selling from a bicycle, Deen’s Canadian establishment — which has been franchised to partners who have committed to maintaining Deen’s standards — invites patrons to have a doubles with the choice of a cold Carib beer, mauby or even a red Solo. Live music every Saturday, roti and some Canadian short-order dishes complete the package. This is promised at the cost of no more than Can $25. Fear that his family’s doubles dynasty may be dying has led to Shamaloo Deen giving up control over a thriving business in Winnipeg, Canada. He has returned, he said, to continue his father’s legacy. Deen is the proud owner of Deen’s Doubles on the Santa Cruz Old Road, San Juan. It’s a trade learned from his late father Emamoul, who, Deen claims, was the first person to have commercialised the traditional East Indian delicacy in T&T. His father’s achievements may soon be forgotten as his family is slowly dwindling. Of his nine siblings, only four are alive, none of whom is involved in the trade. Deen’s three children have also chosen different career paths. Three years ago, recognising that he was the only one left still interested in the family business, Deen established a self-help society in his father’s name. It has not proven to be as successful as he had hoped. “We haven’t gotten the response we had hoped. This trade calls for people willing to commit at least five years to train and learn to maintain consistency, not only look at mass producing and capitalising on how much profit could be made,” he noted. The intent of the society, he said, is to promote doubles-making, as well as assist people interested in buying into the trade. “I am simply taking a page out of my father’s book. He believed in teaching others to help themselves. I also see it as an avenue to get young people into the idea of self-sufficiency and probably keep them away from idleness and crime,” said Deen. He recalled that his father encouraged a close friend to learn the trade. His father, he said went on to teach his friend, Raymond, to make doubles, so he too could take care of his own family. His father’s pioneering spirit, he said, resulted in the setting up of seven doubles stands in the San Juan area, making Deen’s Doubles a household name. When the business was first established in Princess Town back in the early 1930s, Emamoul encouraged the involvement of his first-born sons, twins Habil and Cabil. However, they died a year apart in their early 20s, leaving Deen’s older brother, Jamaloo, to take charge. “Once you could wrap a doubles you were employable, so to speak,” Deen said. Several years later, Jamaloo, too, passed away. Now Deen’s staff is down to his common-law wife, three stepsons and himself. “If it eventually means training complete strangers, people who are willing to uphold the family’s standards of making and selling our product, then I am all for it,” promised Deen. Real liking this post. Good work. I'm now in the hunt for "Medicinal and Edible Plants Used By East Indians Of Trinidad and Tobago"
Dey have it in de bookstore in Piarco. Tallman, ah lose a shilling in 1989 somewhere between Point a Pierre and Charlotteville. Yuh know where it is? Give meh some more info. Was it raining when yuh lose it? Was it shiny or dulll? Well yes!!! De batsmen at both wickets FULLY engaged oui. Pure pace and total concentration required. Over change eh mean a damn thing.